This is the place to link your reviews, record your progress, and chit-chat about what your reading! If you don't have a blog just tell us what your reading in a comment or link to a review you posted somewhere like Goodreads if you want. Linked up my first review! I read "Under the Wide and Starry Sky" -- a fictionalized account of Scottish author Robert Louis Stevenson's life and marriage to Fanny van de Grift Osbourne. 4 Down, 9 more to go! Some great books listed! Hope everyone is enjoying reading Scotland! I am! You have a great blog Peggy Ann ! I am rather too late to join this Read Scotland Challenge in 2014 - maybe next year !! Thanks, Jo. It's never too late, look forward to having you along next year! Made it to Ben Nevis! Just finished number 14. Reading number 15 now. Still lots of year left to go. Way to go, Jane! Glad your enjoying the challenge. Peggy, I can't add a link to my post on The Prime of Miss Jean Brodie as it is in the same post as The Cuckoo's Calling and the linky thing doesn't like it!! Do I need to make a separate post??? I've now completed the Ben Nevis goal and will continue on with the next level. Welcome to the Back O'Beyond! You can delete the link and re do it with both books listed in parenthesis or do the second link to your original review with re-read next to the title. I believe you can delete your own links. I see a delete can symbol next to each of mine. If not let me know and I will do it for you through inlinxz. I have now finished 15 books and decided that that is it for me as there is no way I will make it to 25. 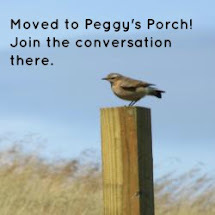 Thanks for hosting Peggy Ann and it was interesting following the vote in Scotland.